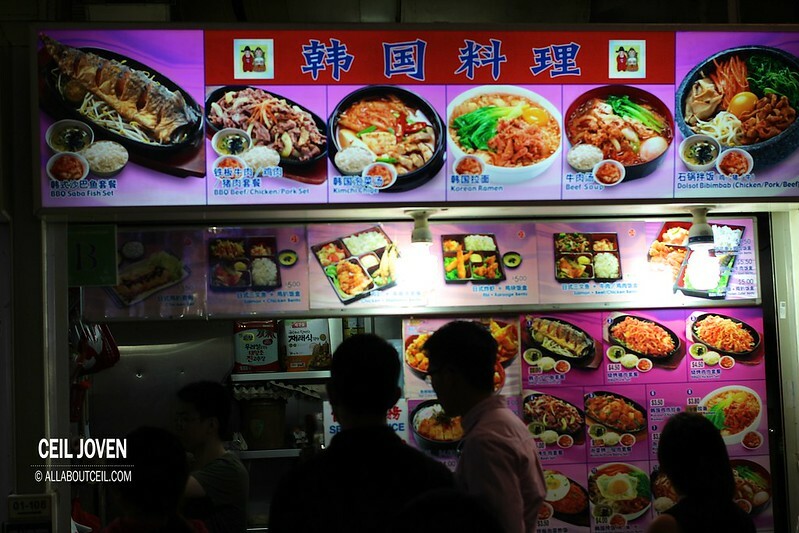 There was a queue of few people right in front of this stall when i was there for lunch. I stood there looking at their menu board and seemingly indecisive. Then, it happened when was one of their customers right in front walked past with the nicely presented bibimbap placed on her tray. At that moment, i wanted to try it too for just $5. 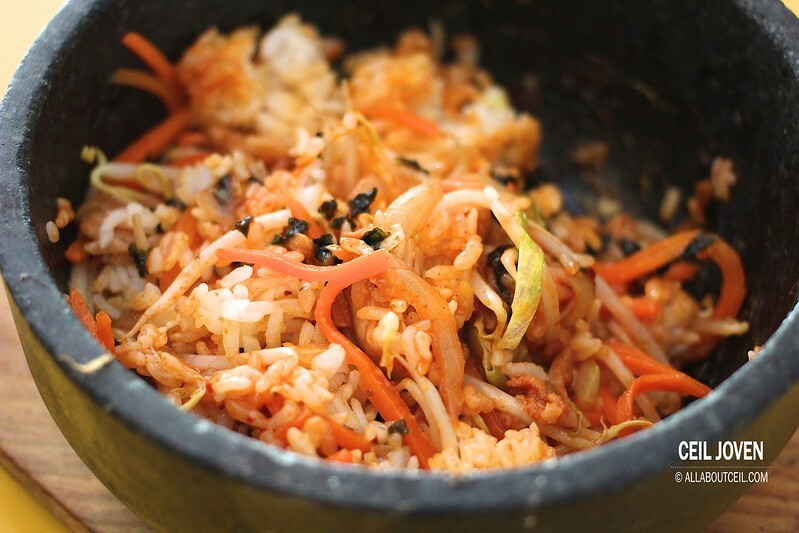 Bibimbap is a signature Korean mixed rice. 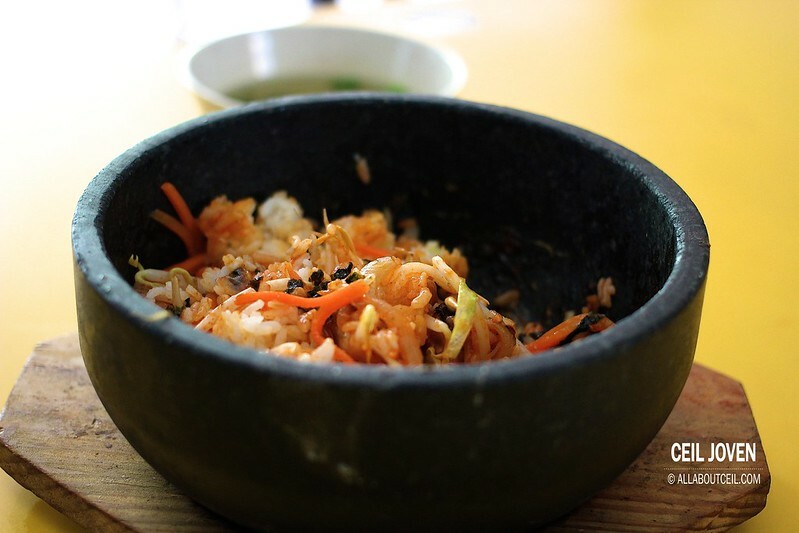 It is served as a bowl of warm rice topped with namul consisting seasoned vegetables and gochujang (chili pepper paste). A raw or fried egg and sliced meat are common additions. The ingredients are stirred together thoroughly just before eating. 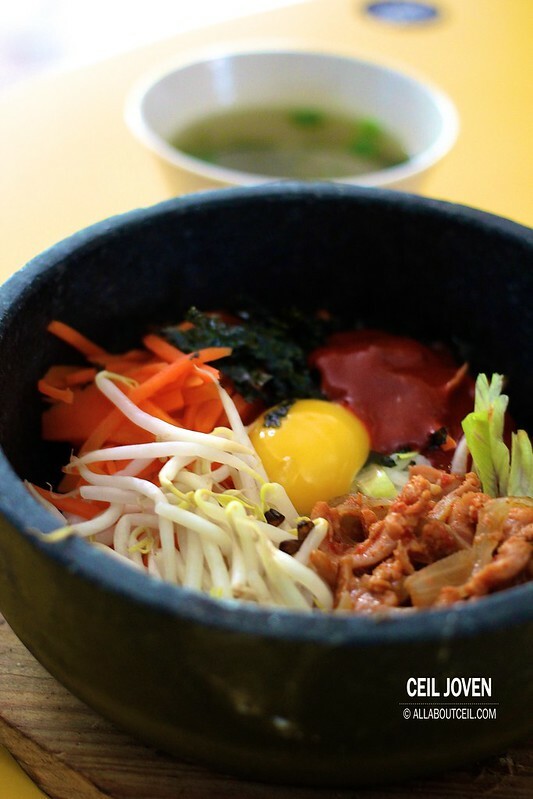 The one is a simplified version of bibimbap. The rice was served in a sizzling stone pot topped with handfuls of bean sprouts, carrot, shredded lettuce, seaweed, raw egg and thin slices of beef. I was asked whether i want it with chilli when it was placed on my tray. 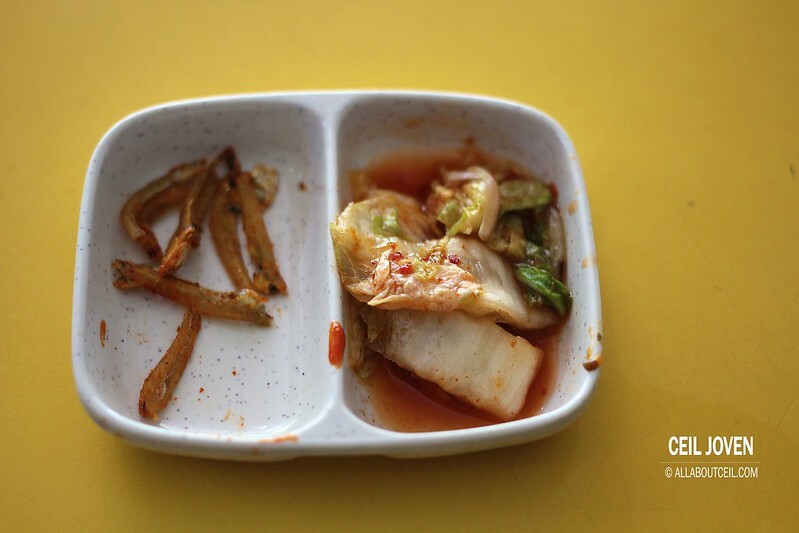 It was served with a saucer consisting few pieces of ikan belis and kimchi. 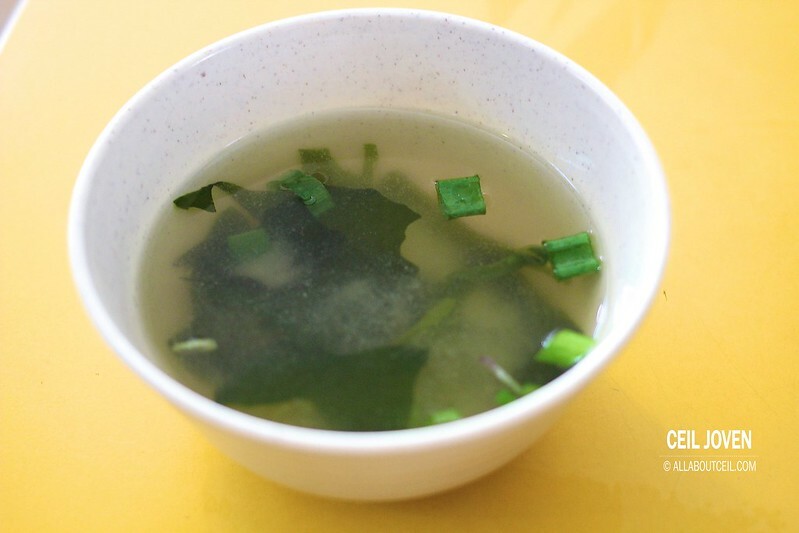 A bowl of seaweed soup came along too. Pictures were taken quickly then i started mixing it well excitedly. 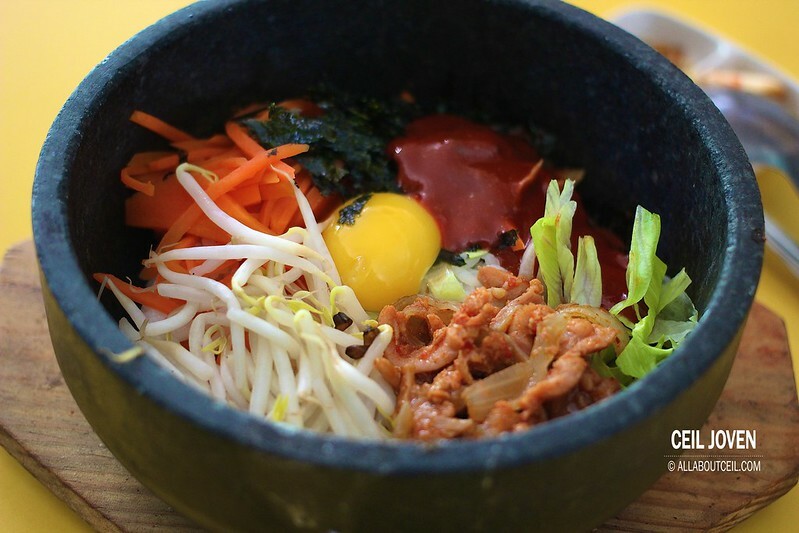 This was my first time having a bibimbap and i did not know what to expect of its taste. Seemingly, the first mouthful was a pleasant one. Though a large amount of chilli pepper paste added but i could not taste much of its spiciness. I would think the overall taste was not quite distinguished. The crunchiness derived from the vegetables added was delighted though. It was generally a pleasant experience as there is no prior experience in comparison. I would think it is worth trying for fan of Korean Cuisine given the reasonable prices of most items on their menu board.